A key specification that most customers look for in a smartphone nowadays is its battery capacity, and for how long it can run before shutting off. With power requirements becoming more and more demanding, companies are having to stuff massive batteries into their smartphones to stay ahead of the competition. This year, we saw several battery-focused smartphones launched in India, and here’s a list of some of the best under Rs. 15,000 – based on our in-depth reviews. While a large battery capacity does hint at good battery life, it is not always the case, as several factors affect a smartphone’s power consumption, from display type and resolution to the baseband radio and software optimisation. Thus, while certain specifications may appear good on paper, they may not necessarily translate into a smartphone with great battery life. Here we list smartphones we’ve put through our rigorous testing processes and have emerged at the top of the battery charts in no particular order. The Asus ZenFone 2 Laser (ZE550KL) was launched in August this year and packs a replaceable 3000mAh battery under the hood. In our review, the smartphone performed well and ran for almost 14 hours in our video loop test. The large 3000mAh battery is certainly a contributor to this, and the rest of it can be put down to specifications that work efficiently with the system. With regular usage, the Laser can deliver over a day of battery life on a single charge. The smartphone can be purchased at Rs. 9,999. The Coolpad Dazen 1 that entered India in May this year is a low-cost workhorse featuring a 2500mAh battery, which is also one of the standout features of the smartphone. Receiving 8/10 under battery performance, the Dazen 1 lasted an impressive 12 hours, 19 minutes in our review video loop test. When used moderately for daily work, this phone should last well into a second day on a single charge. Launched at Rs. 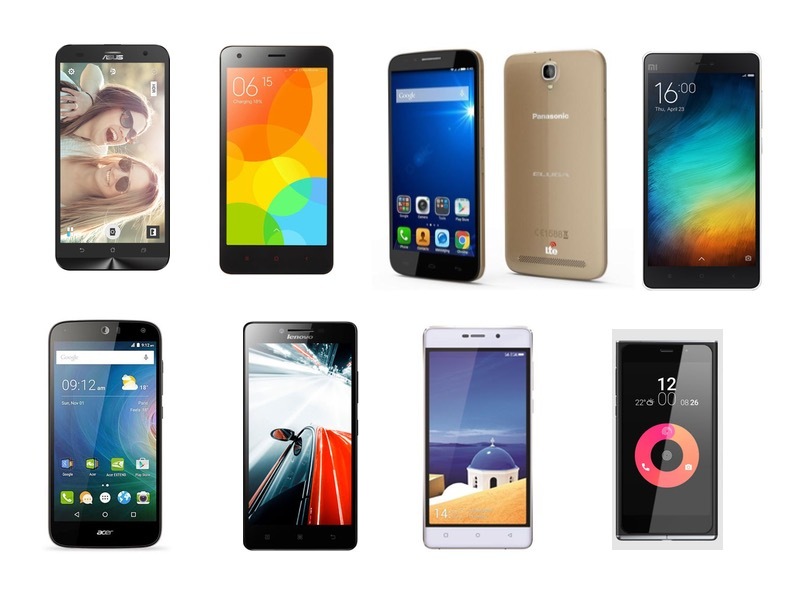 6,999, the smartphone can now be purchased from e-commerce websites for as low as Rs. 5,999. The Acer Liquid Z630s with a 4000mAh battery was launched in October this year and is comparatively new in the market. The smartphone delivers enough juice to go for the whole day. The phone lasted about a day and a half with a bit of calls, gaming and video playback during our review. The smartphone managed to last 13 hours and 12 minutes in our video loop test, which is quite good. The handset is priced at Rs. 10,999 and can be a decent daily driver for users who are looking for battery-focused smartphones under Rs. 15,000. The Xiaomi Mi 4i is another competitor that received positive feedback for its battery capacity. Featuring a 3120mAh battery, the budget smartphone received a 8/10 rating for its battery life. While the smartphone easily lasted an entire day with moderate usage, it was even able to stretch itself until the next morning. Launched in April this year, Mi 4i came with maximum retail price of Rs. 12,999. However, it can now be bought at rates as low as Rs. 10,999 from e-commerce websites. The Panasonic Eluga Icon, which came to the Indian market in August this year, bears a 3500mAh battery. Currently priced at Rs. 10,990 from various online retailers, the low-cost 4G smartphone battery can easily get you through an entire day and a little bit more if you activate the power saving modes. During our video loop test, the handset delivered an impressive 10 hours and 12 minutes of battery life. The Lenovo A6000 Plus, which was launched in April this year, also proves to be a worthy competitor when it comes to battery performance. The smartphone with its 2300mAh battery was termed as ‘excellent’ in our reviews and the smartphone scored 9/10 for battery life. In our in-house tests, the smartphone lasted 10 hours, 34 minutes, which again is more than enough to run for full day on a single charge with regular usage. The smartphone, which was launched at Rs. 7,499 can be grabbed at under Rs. 7,000 from select online retailers. Gionee’s Marathon smartphones are known for their impressive battery life. While the Marathon M4launched at a little above Rs. 15,000, it can now be purchased at around Rs. 11,000. The smartphone’s 5000mAh battery can be stretched further using two power saver modes. This phone lasted a record-shattering 21 hours, 23 minutes in our video loop test. We were able to get through entire days of normal usage including a few games and videos and lots of 4G data usage with plenty of capacity to spare. The brand new Obi Worldphone SF1, with its 3000mAh non-removable battery, also gave decent results in our tests. Priced at Rs. 14,000, the smartphone battery delivered 9 hours and 53 minutes in our video loop test. With regular use, we found ourselves easily pushing past a day’s worth of usage, which is good.